The 9-year-old from Canada posts videos that frequently feature her swearing and sometimes even pretending to do drugs. Who's behind the internet's 'youngest flexer,' 9-year-old 'Lil Tay'? The social media influencer and her mother open up in an exclusive interview with ABC News' Juju Chang. 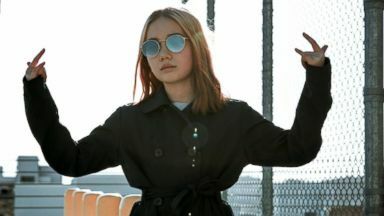 Now Playing: Who's behind the internet's 'youngest flexer,' 9-year-old 'Lil Tay'?